If you’ve ever traveled in the car with your children more than hour, you’ve likely experienced the unending bickering and bellyaching that often happens in the backseat on a road trip. Dolling out short-term and long-term rewards can help boost better behavior from the backseat. Whether you doll out quarters every 15 minutes, along with a promise to stop at the toy store once you reach your destination, or you use a sticker chart with the promise of a prize once it’s full, providing some kind of a reward or incentive for good behavior can certainly help reduce bickering from the backseat. If you’re sporting a mini-van, make use of the various seating arrangements available to you. Putting one child per row, or at least leaving a seat space between them can make getting at each other’s throat much more difficult. You’ll also want to be sure each child is buckled into an appropriate child restraint system. Fill a pillow case with random snacks, special treats and individually wrapped items from the local dollar store. When you sense good behavior is about to take a u-turn, dip into the goody bag and give something out. There are many toys and games that scream “take me in the car.” These include things like Magna Doodles, magnetic puzzles and the travel versions of traditional games like Memory. Crayola Color Wonder products are great for car rides because they give your artist all the fun without the mess. Traditional kids car games like “I Spy” and having sing-a-longs can also help pass time and keep everyone engaged. Even those moms most against watching TV in car, may change their tune when it comes to long car rides. 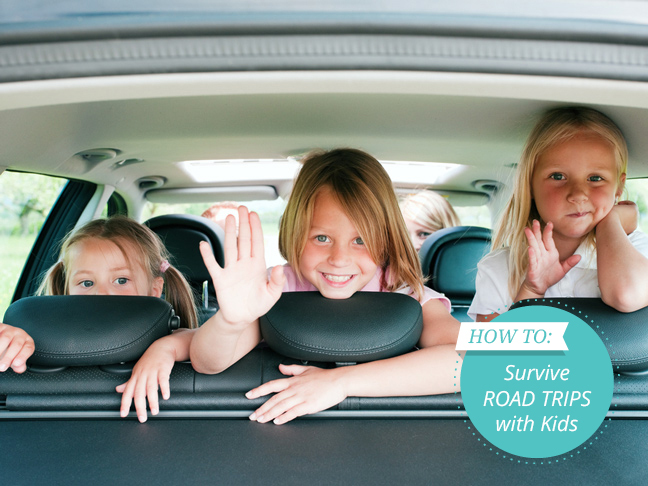 When used for special trips, allowing the kids to watch a DVD in the car can be a sanity saver. Electronic handheld games and game systems, iPads and iPods can also be useful and keeping kid’s bad behavior at bay. Have you traveled far in the car with your kids? How did you keep the kids behavior on track? Please share your own tips with us in the comments section below here.